This is a quote that dates back to the years past that describes the fascination and importance placed on our eyes. An interesting study was conducted in 2007 to support this age-old belief. According to its findings, the eyes really do say a lot about us. The patterns on our irises (the part which gives the colour to our eyes) can indicate if we are warm and friendly, or downright neurotic and impulsive. Nonetheless, its main message is clear – our eyes speak volumes in conveying to people what we feel and think. Apart from that, the eyes have also been subject to many debates as to how certain shapes or sizes are considered to be more beautiful and attractive as compared to others. Some may prefer almond-shaped eyes while others tend to favour deep-set or hooded ones. Subjective though the perceptions may be for ideal eyes, there seems to be a unifying belief that larger eyes are the more attractive ones, especially to men. This belief may have been the main contributor to the popularity of eye surgery to create double eyelids. Why? It is simply because double eyelids give the appearance of larger eyes. Studies have shown that approximately 50% of people of the Asian origin do not have the upper eyelid crease. As such, the double eyelid surgery is mostly opted by Asians, so much so that it is also known as the Asian blepharoplasty. Double eyelid procedure is generally divided into two main categories – incisional and non-incisional. As the name indicates, incisional blepharoplasty involves a significant incision to be made on the upper eyelid where skin and fat is removed and the incision sewn up to create a crease. Meanwhile, non-incisional procedures involve the use of sutures in place of cutting to create a fold on the eyelid. The procedure can be traced as far back as the 1st century AD, where it was initially performed to correct eye deformities. It is said that Aulus Cornelius Celus was the first person to have performed the first surgery to relax the eye muscles. However, literature show that it was not only until 1896 that double eyelid procedure was conducted purely for cosmetic purposes. Initiated by surgeon Mikamo in Japan, the earliest recorded cosmetic double eyelid procedure was performed on a Japanese patient to create a crease in one of the patient’s eyelids using a suture ligation technique (a non-incisional procedure). Sutures made of silk were passed through the patient’s upper eyelid and were left in place to create sufficient depth to the crease before they were removed. This same method was adopted by another Japanese surgeon, Uchida in 1926 who employed catgut sutures to create the creases, where they were left in place for four days prior to their removal. The first incisional blepharoplasty then came into play in 1929 when Maruo, yet another Japanese surgeon, reported to have combined both the suturing and incisional methods. A 7mm incision was first made across the patient’s eyelid and was later sutured to create the desired crease. Many surgeons then followed in Maruo’s footsteps in using the combination method, fine-tuning their techniques along the way. In the years that followed, these two methods have evolved to become different blepharoplasty procedures in their own right, each with its own distinctive techniques. Now, blepharoplasty is a widely accepted and commonly performed procedure to create double eyelids in the worldwide quest to possess eyes that appear bigger and brighter. If cutting away the skin and tissue from your eyelids sounds a little extreme (not to mention scary!) 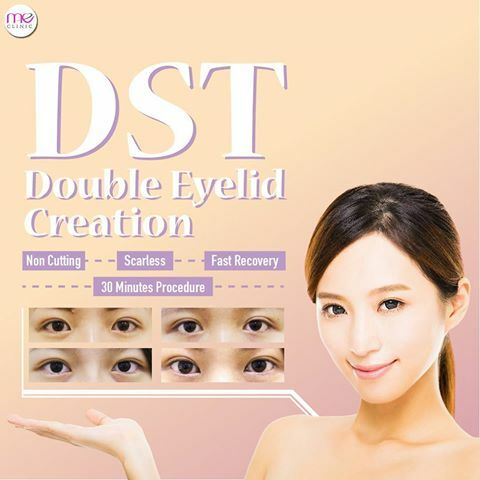 for you, there is another viable alternative to having double eyelids – a non-incisional Asian double eyelid creation technique, called the Double Suture and Twist (DST). DST is a technique that was invented in 2001 by Dr Akihiro Minami, a renowned plastic surgeon in Japan. Designed to be a minimally invasive procedure, DST does not require significant incisions to be made, hence does not leave behind significant scars on the patient’s eyelids. As such, DST has become quite a common technique that is used in Japan since its invention. A relatively simple procedure, it can take about 30 to 40 minutes for both eyes. The surgeon first makes 3 small punctures on the upper eyelid of each eye. Then, using a specific twisting technique, two sutures are passed through those punctures and twisted around each other four to five times. After minimal suturing, the double sutures are tied together to create a fold on the upper eyelid. The result of this procedure is that when the patient opens his or her eyes, the underbelly of the skin is pulled inwards, resulting in a natural looking crease. Although a quick and often less painful method to obtaining double eyelids, non-incisional procedures are said to be less effective when compared to incisional ones, owing to its high suture breakage rate and results that can fade over time. However, studies have shown DST to be both a safe and durable procedure, with results lasting about five years or more. Besides that, the results are also reversible in case patients change their minds. Furthermore, downtime for the patient is also shorter than incisional double eyelid surgeries which usually require a longer period swelling. Because of its twist technique, it takes on average seven days for recovery with DST for most patients. On the other hand, DST is not suitable for those with problematic eyelids such as those with asymmetrical or sagging eyelids and/or a lot of fatty tissues around the eyelids. Candidates with these issues are usually advised to opt for the conventional blepharoplasty for best results. Nonetheless, always consult a qualified aesthetic physician for their professional opinion before deciding to undergo any procedure. 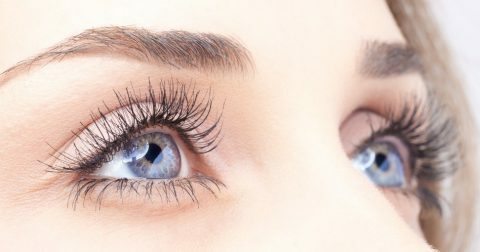 As seen above, double eyelid creation methods and techniques are constantly improving over time to provide patients with better and safer experiences in obtaining their desired looks. For patients who fear surgeries, non-incisional procedures such as DST can help take a load off their minds. Without involving significant incisions, patients are able to enjoy a reduced healing period with long-lasting results that are also reversible, just in case. As such, they need not worry about permanent scars and/or taking a long time off work to recover after the procedure. 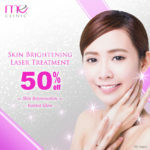 Although relatively recent and only a few practitioners in Malaysia are skilled in this procedure, DST has the potential to emerge as the more practical method among non-incisional procedures in creating a long-lasting, natural looking crease to make your eyes appear bigger and brighter.